З ним диво. Не спугни його! І засяє світ у відповідь! 5* x 5 new lovely pots. Happy sunday, Emily !!! Popped in to see your latest creations and rated them FIVE STARS. I'll try be back again soon to catch up on more ratings. Pop by my gallery any time, I appreciate the feedback and comments. 5* x 2 new lovely pots. Happy weekend, Emily !!! 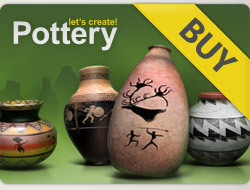 24 x 5 ⭐️ ⭐️ ⭐️ ⭐️ ⭐️, absolutely gorgeous pots!